Designed to tackle everything from an oil change to a tune-up, these Nitrile disposable gloves provide you with total dexterity and a snug fit. A latex-free construction saves your skin and protects from chemicals, liquids and oils. No matter what, these gloves have you covered. 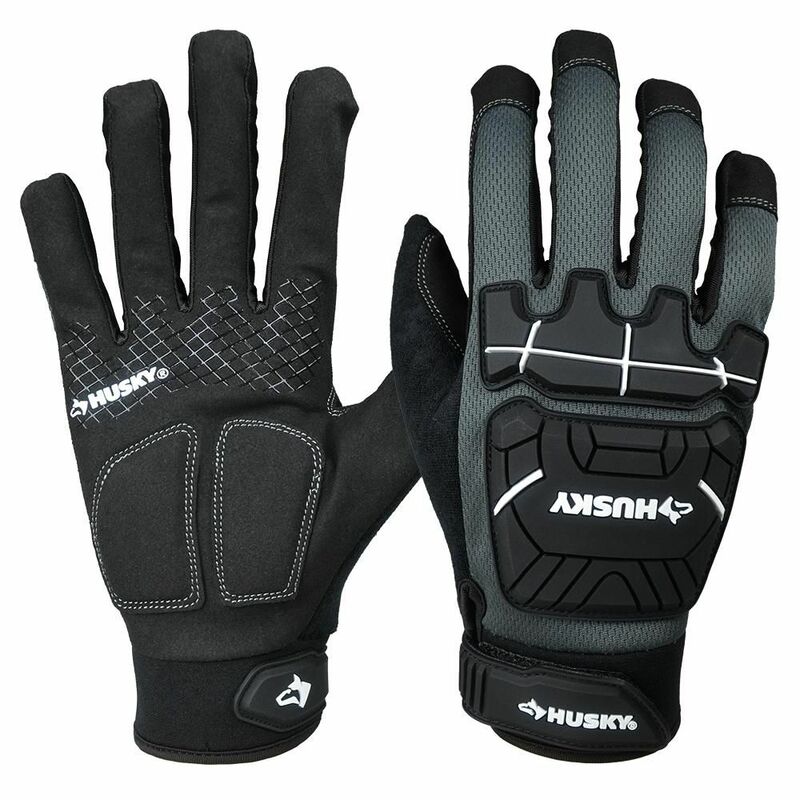 Heavy Duty Mechanics Glove, X-Large Husky Heavy Duty Mechanics Gloves are a premium series of gloves for all tasks. The gloves have reinforced fingertips for enhanced durability. The neoprene wrist ensures ultimate comfort. The 4 way spandex ensures elasticity throughout the entire life of the glove. These gloves have the addition of knuckle protection to protect hands during the toughest jobs. Heavy Duty Mechanics Glove, X-Large is rated 4.3 out of 5 by 44. Rated 5 out of 5 by Ott from Great gloves. Good fit & durable. Just what I needed.... Great gloves. Good fit & durable. Just what I needed. Rated 5 out of 5 by Mario from Excellent choice for taking care of the tough jobs around... Excellent choice for taking care of the tough jobs around the house.